A steady stream of scattered showers and thunderstorms have brought heavy rain to several locations in New Jersey this week. And even more rain is in the forecast through the end of the week. The deluge began on Monday morning, as commuters experienced periods of heavy, steady rain through parts of Mercer, Middlesex, Somerset, Union, Morris, Essex, and Bergen counties. 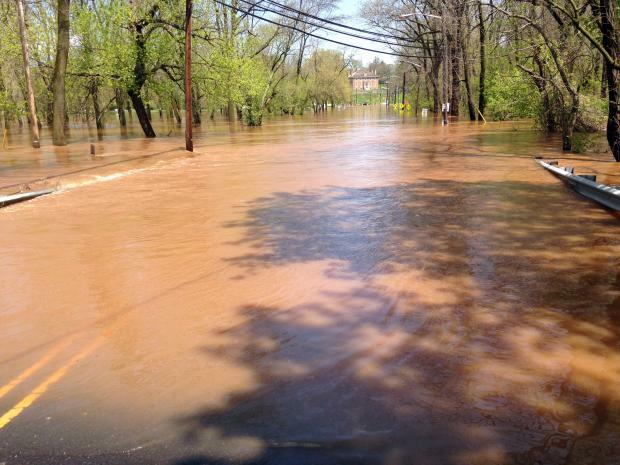 The National Weather Service reported severe flash flooding in Newark, which required several motorists to be rescued. Tuesday afternoon, another area of very heavy rain affected a narrow band in Camden, Gloucester, Burlington, and Atlantic counties. Rainfall estimates from the New Jersey Weather & Climate Network station in Sewell (Gloucester County) totaled almost 2 inches within just a half-hour from 4:30pm to 5:00pm on Tuesday. Widespread flash flooding, over a foot deep in spots, was reported to the National Weather Service by trained storm spotters and officials. May 2014 had a difficult time establishing an identity. What began with a storm that carried over from April 30th and resulted in the 7th largest flood of the past century in the Raritan basin on the 1st (see the April narrative for discussion of this event), later included some warm days, late freezes in a few locations, severe thunderstorms with hail in others, and a spectacular Memorial Day. Overall, May averaged 62.1°, which is 1.3° above average (compared to the 1981-2010 average). This ranks as the 35th warmest (tied with 1962) in the 120 years back to 1895. Precipitation averaged 5.18", which is 1.18" above average and ranks as 19th wettest. This value includes the considerable rain that fell on April 30th at National Weather Service Cooperative Stations that report during the morning hours (see April narrative for a full explanation). As climatological summer and the Atlantic hurricane season begin on June 1, scientists are carefully monitoring sea-surface temperatures in the tropical Pacific Ocean for a potential El Niño event. An El Niño occurs when warmer-than-average waters start to form in the eastern Pacific Ocean, specifically near the equatorial latitudes. 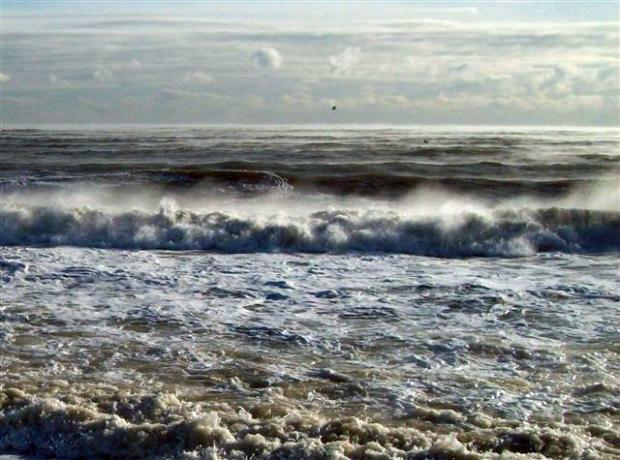 Easterly winds (blowing from the east) typically move warmer water to the western Pacific (near Indonesia), permitting cooler water to upwell to the surface in the east (near South America). When these winds are weaker, or if they reverse direction, the warm water stays in the eastern Pacific. This difference in sea surface temperatures and winds creates a new dynamic between the ocean and atmosphere, distinctly affecting weather patterns across the world. No two El Niño events are alike; they vary in magnitude and location of the largest temperature anomalies. El Niño events can be classified as Strong, Moderate or Weak. 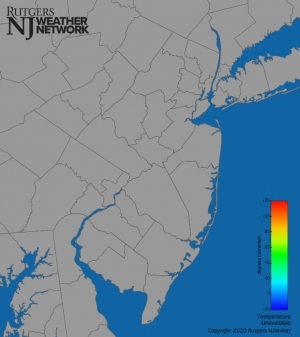 What might an El Niño summer mean for New Jersey's weather? Copious moisture streaming across a slowly advancing warm front resulted in a period of heavy rain across the Garden State, with most of the rainfall occurring on April 30th. 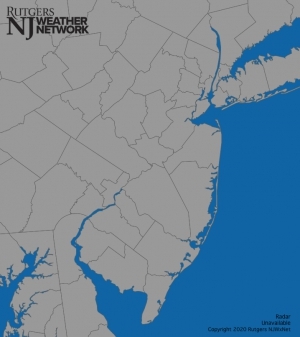 The entirety of NJ north of Cape May County was deluged with more than 2.00" of rain, with a large area of greater than 4.00" totals extending from southwest to northeast along the entire span of the state. In particular, the area from western Salem, Gloucester, Camden, Burlington and Monmouth counties north up to roughly I-80 were socked with 4.00"-5.00", with some localized pockets of greater than 5.00". CoCoRaHS stations in Robbinsville Twp (Mercer County) and Matawan (Monmouth) reported the highest totals in the state, with 6.02" and 5.59", respectively. Stations in Medford Twp (Burlington County; 5.44"), New Brunswick (Middlesex; 5.39"), Westfield (Union; 5.32"), and Maplewood Twp (Essex; 5.25") also measured among the heaviest totals in NJ. On the low side, stations in Cape May County such as West Cape May (0.90"), Middle Twp (1.05"), Dennis Twp (1.27"), and Wildwood Crest (1.29") missed out on the heaviest rain. April showers typically bring May flowers, but when they fail to arrive in abundance and bundled with low humidity and gusty winds, wildfires become a major risk. 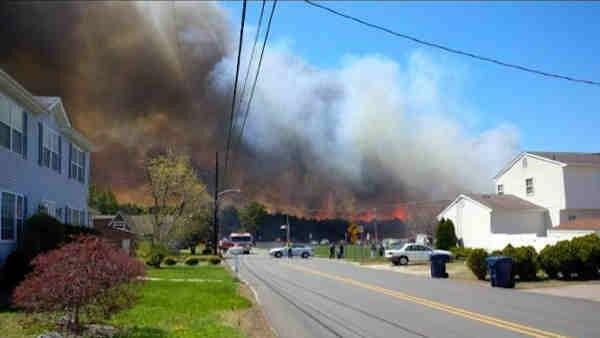 Just such a scenario unfolded across New Jersey experienced on Thursday April 24. Low dew points, combined with winds gusting over 30 mph, prompted the National Weather Service to issue Red Flag warnings across nearly all of the state both Wednesday and Thursday. 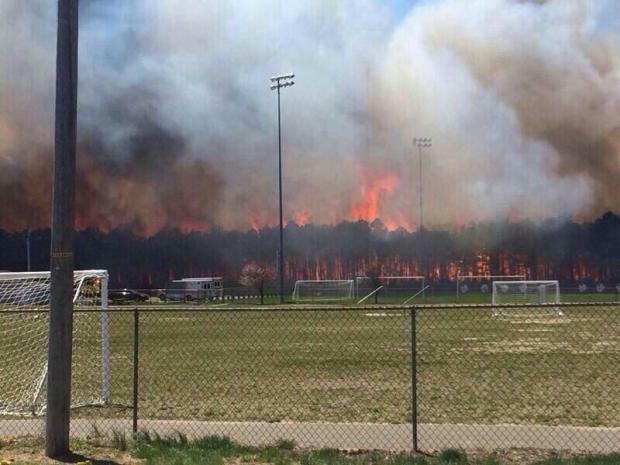 Such warnings indicate a high risk for wildfires in wooded areas and grasslands. Unfortunately, fires did erupt in scattered locations around the state, with several large wildfires in Ocean and Cumberland counties. 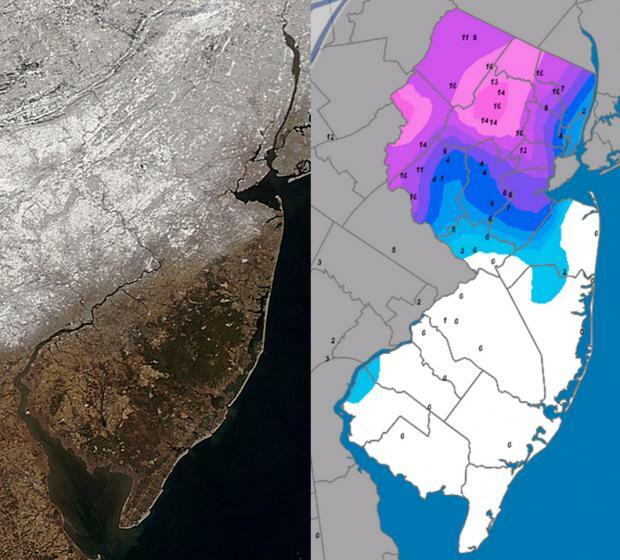 One of the most disruptive winters in recent memory continued to deliver cold weather throughout New Jersey during March. 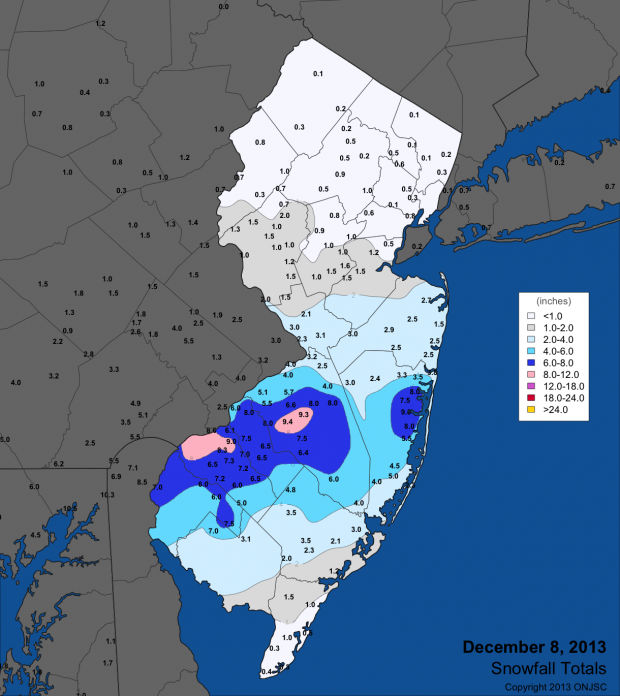 Three snow events brought over 20" of snow to Cape May County, yet failed to bring more than flurries to northern counties. The statewide average monthly temperature of 35.3° was 5.8° below normal. Thus March ranked as the 11th coldest since statewide records commenced in 1895 (Table 1). Rain and melted snow for the month averaged 4.11". This is 0.12" below normal and ranks as the 55th wettest of the past 120 Marches. Aside from the southern snows, the bulk of the precipitation fell in a soaking storm at month's end. 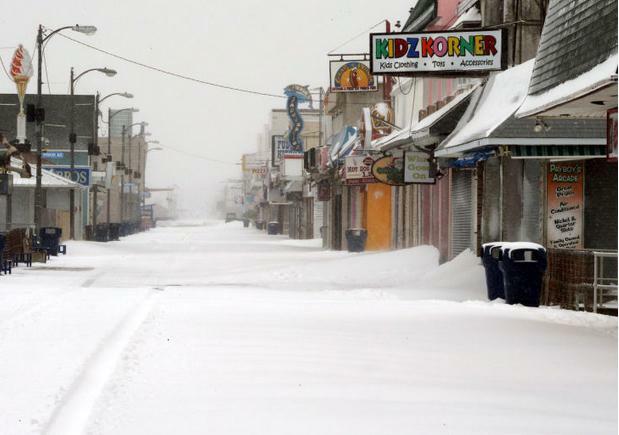 One of the more disruptive winters in recent decades continued during February, erasing the hopes of many for an early spring. Averaged across New Jersey, the monthly temperature of 29.5° was 4.3° below normal. This made for the 35th coldest February over the past 120 years and the coldest since 2007. Temperatures ranged from a low of -18° at Walpack in snow covered Sussex County valley on the 11th and 12th to a high of 67° at several southern locations on the 21st. The statewide average precipitation of 5.26" made for the 20th wettest February on record. This includes both rainfall and the liquid equivalent of frozen precipitation, and is 2.40" above normal. Snowfall averaged 21.9" across the state, which is 13.9" above normal and ranks as the 7th snowiest of the past 120 Februaries. The year began where 2013 left off, with the jet stream in an amplified, progressive pattern that resulted in frequent, pronounced fluctuations in temperature and multiple precipitation events. By late month, the pattern slowed, but remained amplified, locking NJ into over a week of bitter cold conditions. The statewide average temperature for January was 26.1°, which is 5.1° below the 1981-2010 average and ranks as the 17th coldest since 1895 (120 years). It was the coldest January since 2004. Precipitation in the form of rain, freezing rain, and melted snowfall averaged 3.09". This is 0.39" below normal and ranks as the 57th driest. Snowfall averaged 17.7", which is 10.6" above normal and ranks at the 8th snowiest January on record.